We have all heard the horror stories about hair extensions damaging your hair and to be honest with you, most of them are true. This is not because the actual hair extensions damage your hair, it’s because they are either put in wrong, too big and bulky, too heavy or the hair stylist never taught the person wearing the extensions how to properly take care of them. 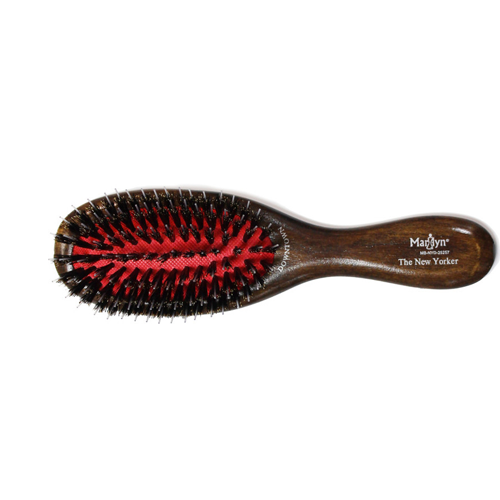 When brushing your hair and the hair extensions, make sure you have the correct tools to do so. Our at home hair extensions maintenance kit comes with a brush and proper hair care products to use. 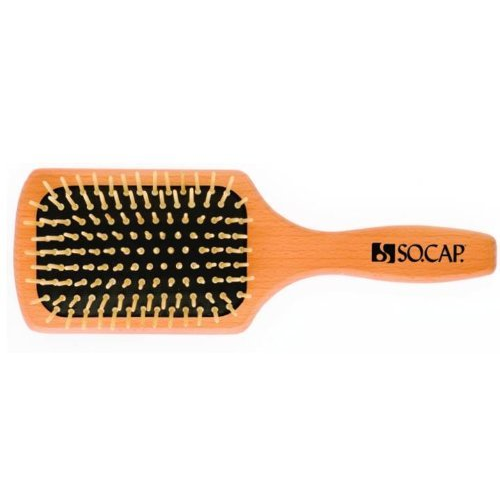 For a good brush I recommend the SoCap wood paddle brush for thick and curly hair. 2) Clips strong enough to hold your hair out of the way. 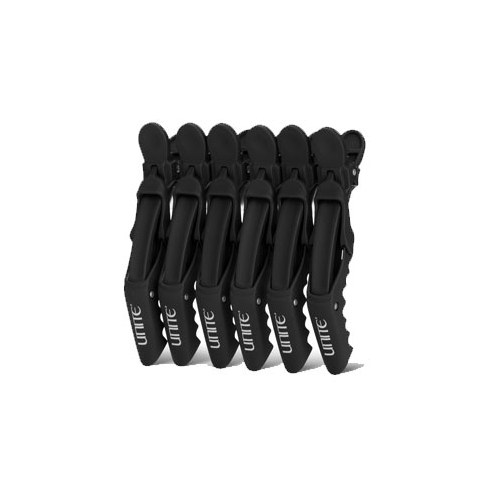 For clips I recommend the Unite Hinge Clips they don’t slip and hold the hair very well. Section your hair into 1 inch sections and clip up. Start at the top of your head. Front section of the top of your head and follow the same shape one inch thick all around your head. Once all the hair is sectioned and clipped up unclip the bottom 1 inch section and begin brushing thoroughly. You should always start from the bottom of each section. Making sure you hold the hair at the root, especially if there are any tangles. Brush your way up the hair shaft. Once you get to the roots or where the bonds are, brush through the bonds! Yes there will be a loud sound that sounds like something is ripping, but nothing is ripping. This is the sound that the brush makes going over the bonds. YOU MUST HEAR THIS SOUND!!!!! Don’t be scared. It is worse to be tangled than to lose a few bonds. Do not rip through the hair. 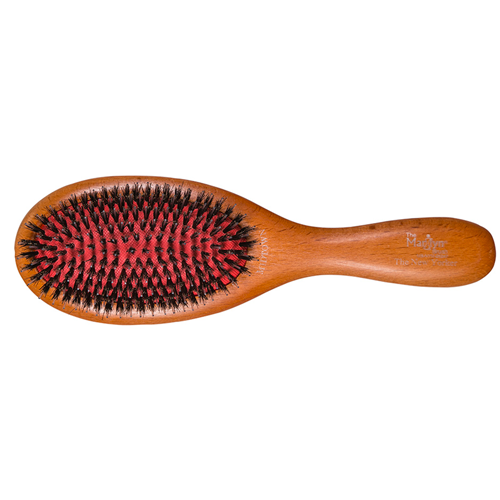 Use just enough pressure to brush through the bonds to make sure the hair is nicely loose and brushed through. 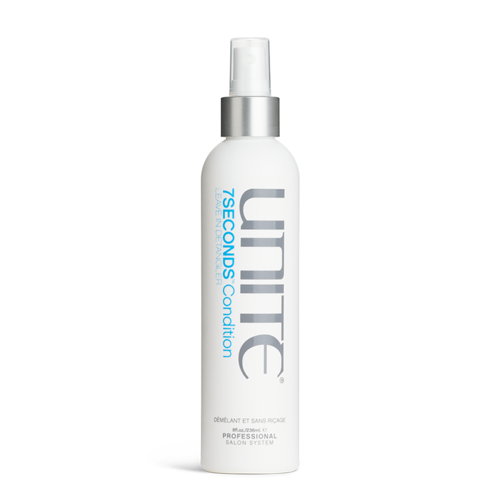 If you have a knot use the Unite 7 second leave in conditioner to loosen the knot ad smoothly brush through the hair. Once you have completed the first 1 inch section, take down the second 1 inch section and repeat all the way to the top of the head. We always show you this procedure at our salon during the hair extensions application appointment, but you can schedule blow dry appointments with us and we’ll always give you the perfect look every time. If you don’t feel comfortable doing this at home on your own, please schedule regular blow dry appointments to get your hair professionally blow dried by someone who knows how to work with hair extensions. There are numerous places that specialize in blow dries and blow outs, but not everyone has the experience with blow drying hair extensions, so please please please do your research and always ask before sitting in a chair, this detail will only help the health of your own hair and the longevity of your hair extensions. Is It Time For Your Hair Makeover?